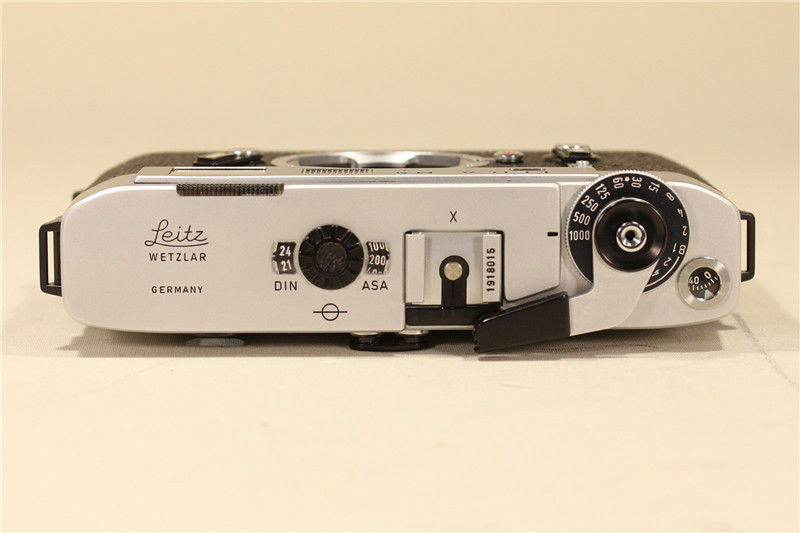 The one above is currently for sale on Ebay, ***from a dealer in Tokyo, which leads me to believe Leitz probably made a specially requested run of 20 cameras for someone in Japan. 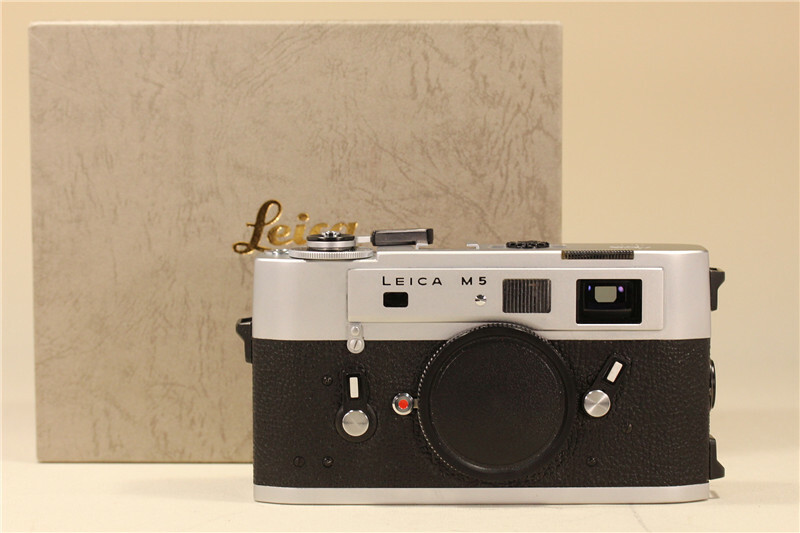 The seller wants $1888 for it, which is a damn good price for a Leica that eventually should become very desirable as a collectible. I ran across this while perusing a popular camera forum I usually try to stay away from. 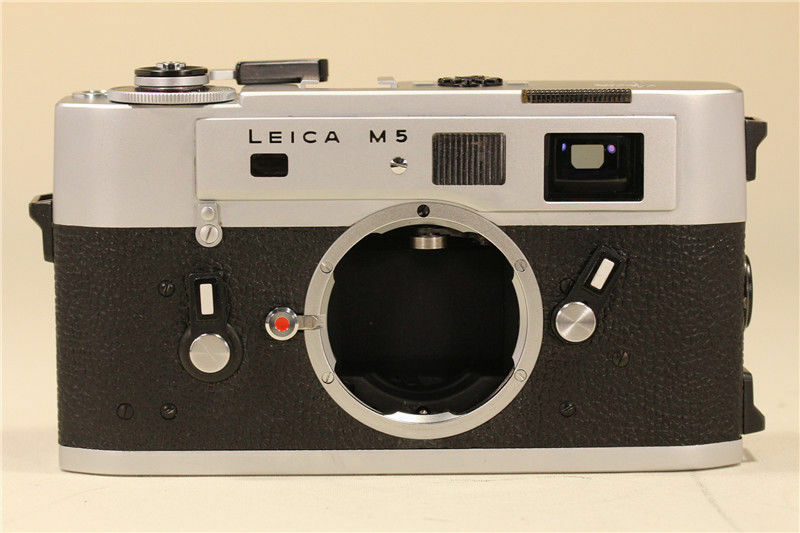 Of course, the mere mention of a Leica M5 has brought out a number of thoughtful folks espousing their M5 opinions (some good, some bad, all considered), and then of course the resident forum “Mentor” (!) putting an imperious kabosch on the proceedings by categorically declaring all M5 users lumpen proletariat idiots, apparently based on the fact that he used an M5 once and didn’t like it, it being too big for his delicate fingers, (or was it that the viewfinder window scratched his monocle? ), all further discussion met with compulsive browbeating. *** It appears the same camera is being offered by two different Tokyo based Ebay sellers, one the auction on Ebay’s American site, listed above; and also, on Ebay UK for a price in UK pounds equal to approximately $2900. Confusing, and slightly concerning, although there may very well be an innocent explanation. In any event, it’s a great deal at $1888 as sold on Ebay’s US site if in fact its legit. This entry was posted in Leica M5 and tagged Leica M5 on May 30, 2017 by Leicaphila. I’d say it’s actually funny how they maul each other, isn’t it? Particularly the guy with a dot after his (Dutch) name constantly tries to challenge Roger, but Dutch guy won’t prevail, I’m sure. BTW: French speakers can discuss that phenomenon «M5» WITHOUT mauling each other. I succumbed to temptation and followed the link to the forum discussion. I had to laugh. Just today I was in a museum with very poor lighting shooting my M7 with some high ISO color film. The RF flare is so bad on that camera that I am going to be forced to send it to Germany for the $1K modification……Pisses me off. Funny thing is, when I got back into the car, I remembered the M5- it lives under the car seat- and got even more pissed off. For today’s purposes, the M5 would have easily been a superior camera for the job. Within the context “camera,” meaning device with which photographs can be reliably taken, the M5 is without flaw. The same cannot be said of my M7. It, M7, is far prettier, though. I’m glad I read the comments. I was VERY tempted to buy this, until I saw the duplicate listing with the same serial number. I am a HUGE M5 fan, and this was just too good to be true.